With spell and sword in hand, the classic fantasy hero returns in an all-new manga series–just in time for his new anime! He calls himself Orphen: a rogue sorcerer who turned his back on the Tower of Fangs, the powerful academy that trained him. In those hallowed halls, a terrible curse fell upon his best friend Azalie, twisting her into a monstrous beast…and the teachers decided to simply cover it up. 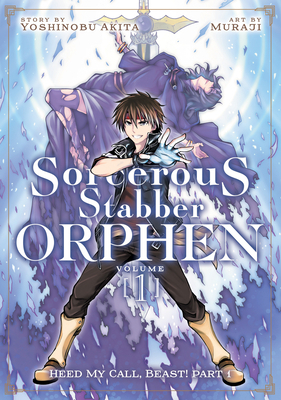 Forsaking his studies and even his own name, Orphen now wanders the land searching for Azalie, and a cure for what she has become. It won’t be easy–a quest brimming with adventure, spells, and swords awaits! Yoshinobu Akita is a Japanese author best known for the original Orphen light novel series, which has over ten million copies in print. Muraji is a Japanese manga artist, best known for the new Orphen manga series.